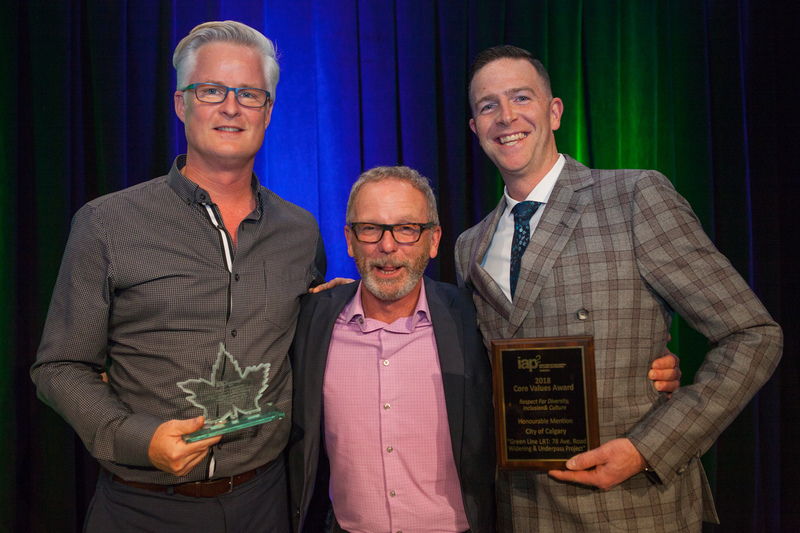 Apply NOW for the 2019 IAP2 Canada Core Values Awards! Have you worked on a project that exemplifies the IAP2 Core Values? Did it break new ground, provide new insights or use tried-and-true methods in innovative ways? The application period is open now for the 2019 IAP2 Canada Core Values Awards. Download the Applicant's Kit here. The IAP2 Core Values Awards are another way to help raise the bar in the field of public engagement: a friendly competition to encourage new approaches and innovative uses of existing ones. Each year, IAP2 and its affiliates around the world recognize leaders in the profession; in 2014, IAP2 Canada inaugurated its own Core Values Awards. How did you invite the public to learn about the project? How were people kept informed throughout the process? How did you report out to participants? CONGRATULATIONS TO THE 2018 CORE VALUES AWARD WINNERS! 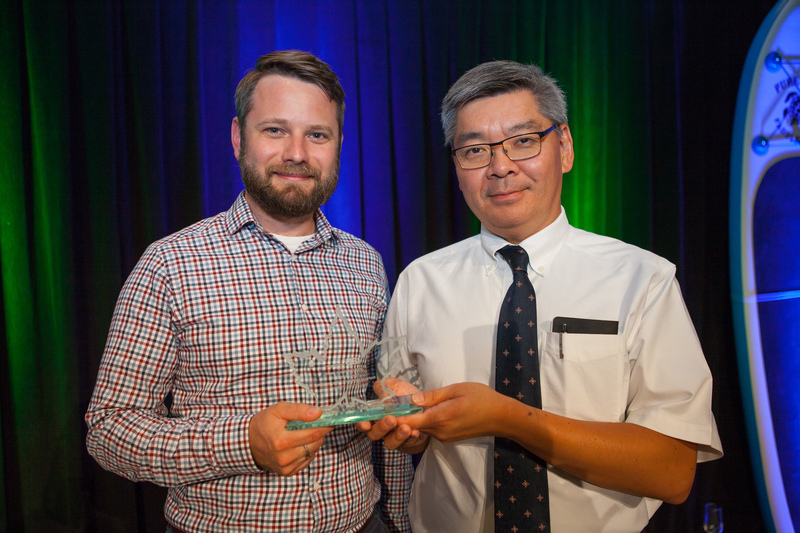 The 2018 IAP2 Canada Core Values Awards attracted nearly 30 entries from people and organizations across Canada, and the winners were announced at the 2018 IAP2 North American Conference in Victoria, BC. The City of Edmonton, for "What to do When a City, its Staff and People Decide it's Time for a Change". With a population of just under a million, elected leaders and staff in the capital of Alberta determined it was important to engage the public in decision-making. This led to the Council Initiative on Public Engagement, which included “engaging on engagement”. This has produced, so far, a 27-item action plan, a new public engagement strategy and a Guiding Coalition to hold the city to account. Honourable Mention: the Rural Municipality of St Clements, Manitoba, for "Small Municipality - Big P2". The RM made a comprehensive public engagement strategy part of its 2015-2018 Strategic Plan and has managed to address public concerns and receive strong mandates regarding projects including curbside waste and recycling pickup, wastewater treatment and a levy for zebra mussel boat inspection. It's the second time St Clements has earned Honourable Mention for this award: it shared the prize with two other RMs -- East St Paul and West St Paul -- in 2016. Honourable Mention: Calgary Board of Education for "Dialogue Journey: a Path to More Collaborative Decision-Making". In less than three years, the CBE developed a community engagement framework and successfully implemented it to inform both school-based and system-wide decisions.The Board trained over 600 system leaders and created a centralized organizational unit of three employees and having a champion on the executive team. This has a positive impact on 14,000 staff, 122,000 students, plus their families and hundreds of thousands of Calgarians. It has been identified that Canada’s criminal justice system is fundamentally unjust. The rate of incarceration of Indigenous people is nine times that of the general population; sixty percent of those in jails are still awaiting a decision in their case. The Canadian government engaged a broad range of Canadians to come up with answers to these and other problems. The City of Edmonton and Justice Canada will compete against Organization and Project winners from other IAP2 Affiliates for the Federation (worldwide) awards. Those winners will be announced in October at the IAP2 Australasia Conference in Gold Coast, Queensland, Australia. Indigenous Engagement: the City of Vancouver for “Britannia Renewal Master Plan”. This project involved revitalizing a community services strategy for an area of the city that has a high proportion of Indigenous people living off-reserve. MODUS Planning, Design & Engagement and The City of Surrey, BC, for “Parks, Recreation and Culture Strategic Plan Update”. The largest municipality in Metro Vancouver has a broad demographic range including first- and second-generation Canadians and the largest proportion of urban Indigenous residents. Creating the updated plan required recognizing the needs of all of these groups. 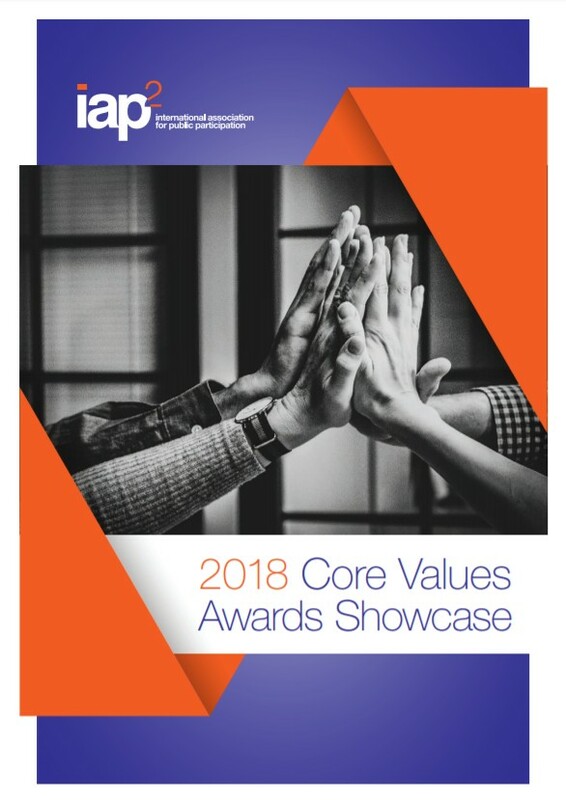 Honourable Mention: The City of Calgary Transportation Dep't for "Green Line LRT: 78 Ave. Road-Widening and Underpass Construction Project"
This year, IAP2 Canada is excited to launch a new Core Values Award Category, the Visual Engagement Awards. This is a partnership with the Dazzling Notice Awards, which recognize government and other public entities that manage to "grab" the public in the way they advertise their programs and projects. 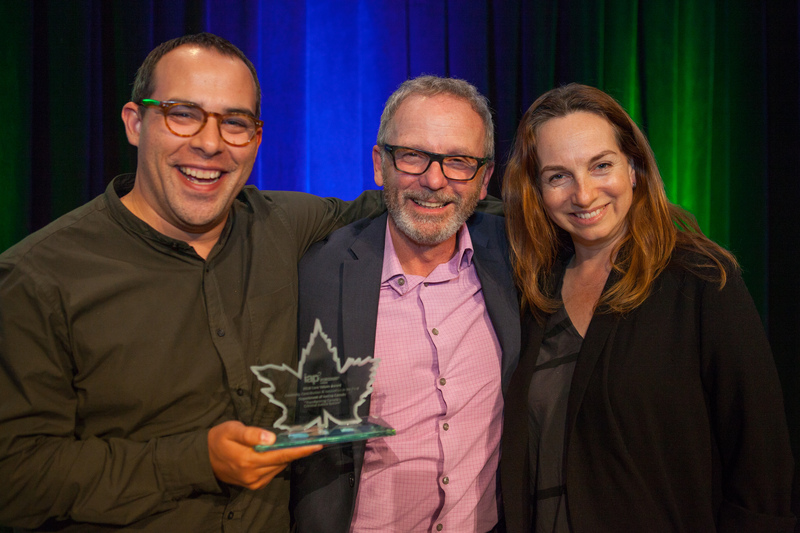 The creator of the awards, Dave Meslin, approached IAP2 Canada about the partnership and IAP2 Canada leapt at the opportunity. District of Squamish, BC, for “Official Community Plan Update”. The District was determined to bring as many voices and perspectives as possible into the process on visioning the region just north of Vancouver over the next 20 years. To do that, they launched a visually compelling -- and intentionally less-than-slick -- campaign. The Region of Waterloo, Ontario, and Dillon Consulting, for “Biosolids Strategy”. The region’s plans for dealing with biosolids (otherwise known as poop) ran into heavy opposition from the public at first, so the region stepped up its engagement efforts. Its work to grab people’s attention was slightly daring, maybe a little juvenile and definitely engaging. 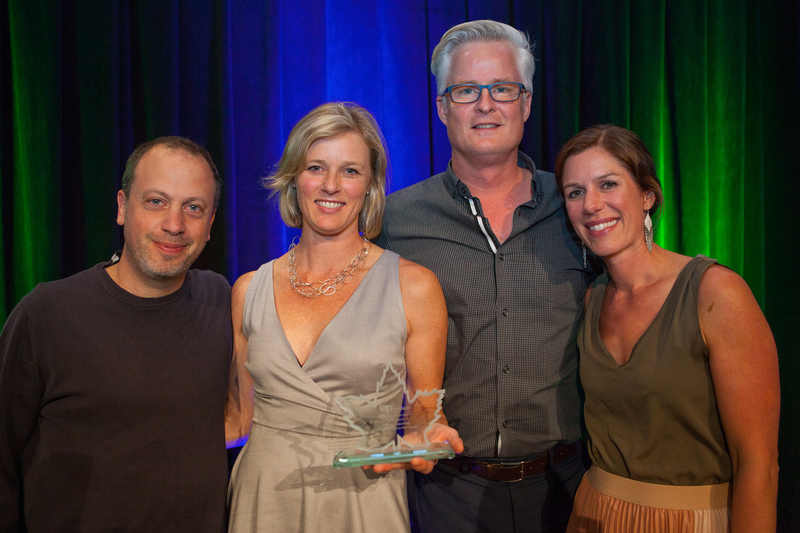 Honourable mention went to the City of Vancouver for "Arbutus Greenway: Engaging a Diverse and Citywide Audience." 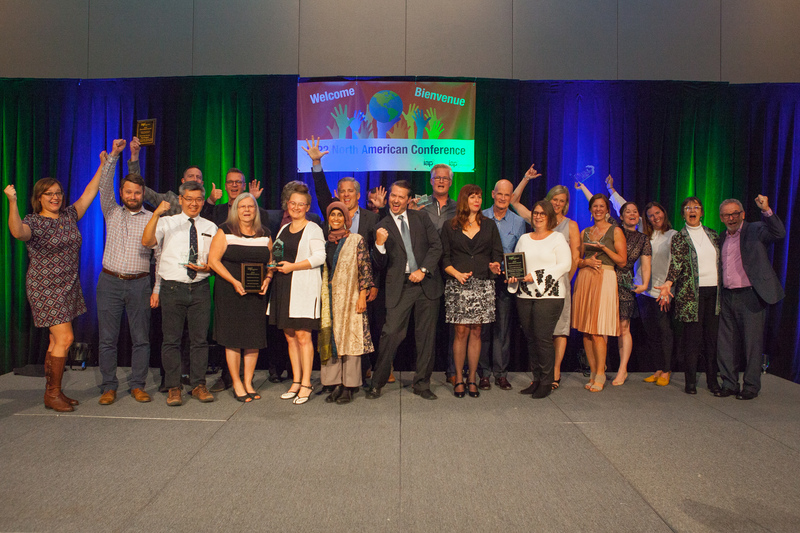 Check out the IAP2 USA Core Values Award winners here. Faites votre candidature dès maintenant pour les PRIX D'EXCELLENCE DE L'AIP2 CANADA, 2019! Que sont les prix d’excellence en participation publique de l’AIP2? Les prix d’excellence en participation publique de l’AIP2 constituent un autre moyen de relever la barre dans le domaine de la P2. Il s’agit d’une compétition amicale visant à encourager l’adoption de nouvelles approches et l’utilisation novatrice d’approches existantes. Chaque année, les organismes affiliés de l’AIP2 partout dans le monde soulignent le travail accompli par les leaders de la profession et, depuis 2014, l’AIP2 Canada décerne ses propres prix d’excellence en participation publique. Ces prix sont octroyés aux projets qui intègrent le mieux les valeurs essentielles de l’AIP2, le but étant de permettre aux professionnels de la P2 d’apprendre les uns des autres et de s’inspirer mutuellement à rehausser leurs propres standards d’excellence. Comment avez-vous invité le public à prendre connaissance du projet? De quelle façon les parties prenantes ont-elles été informées tout au long du projet? Quel type de rétroaction avez-vous fournie aux participants? Pour faire votre candidature, téléchargez la trousse d'inscription ici. Toutes les soumissions doivent être reçues avant le vendredi 3 mai, 2019. Les gagnants seront notifiés en juillet, et dévoilés au Gala des prix d'excellence, le jeudi 5 septembre, à la Conférence nord-américaine de l'AIP2, qui aura lieu à Charlotte, en Caroline du nord. Avez-vous besoin d'inspiration? Renseignez-vous ici sur les lauréats de 2018 (à Victoria), 2017 (Denver), 2016 (Montréal), 2015 (Portland), et 2014 (Winnipeg). 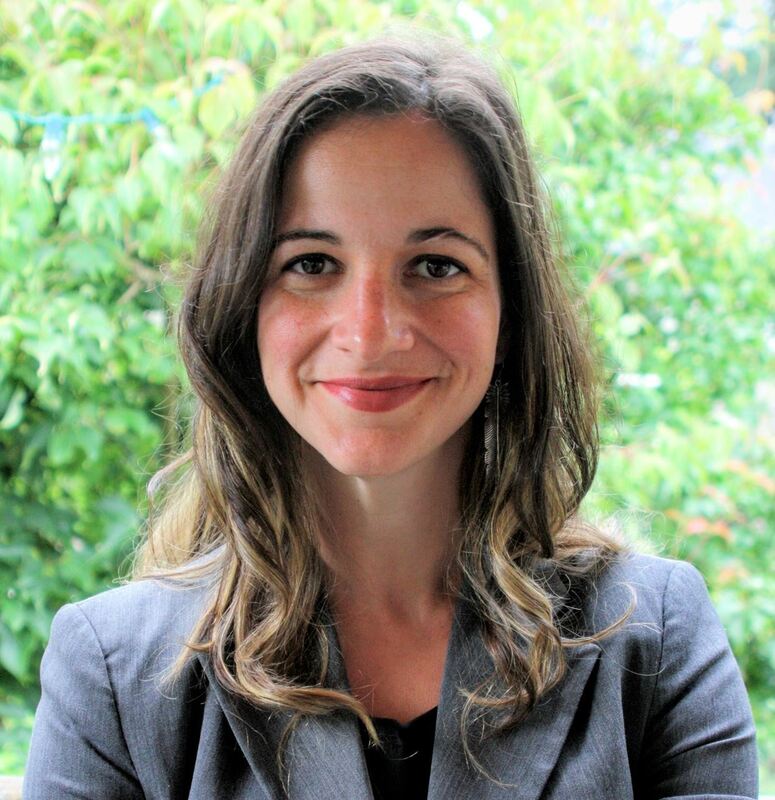 Susanna is a civic engagement specialist, who designs participation strategies, facilitates complex meetings and provides training for better conversations between the public and decision makers. Dave is the Creative Director of Unlock Democracy Canada the founder of the Ranked Ballot Initiative of Toronto and co-founder of Spacing Magazine. His new book, “Teardown: Rebuilding Democracy from the Ground Up” will be published by Penguin in 2018. In his spare time, Dave enjoys playing with Legos. 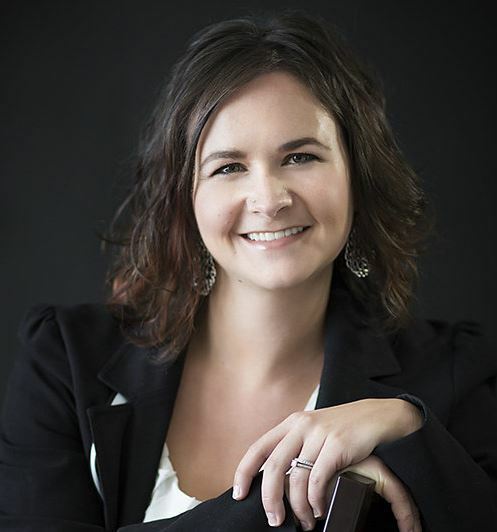 Julia is an expert in brave conversations and specializes in high emotion or oppositional settings and supporting business and government to engage internal and external stakeholders. She is founder and managing director of Dialogic Solutions, Ltd.
Anita's expertise in marketing programs, project and event management, volunteer engagement, facilitation, and public engagement all begin with developing relationships with people. 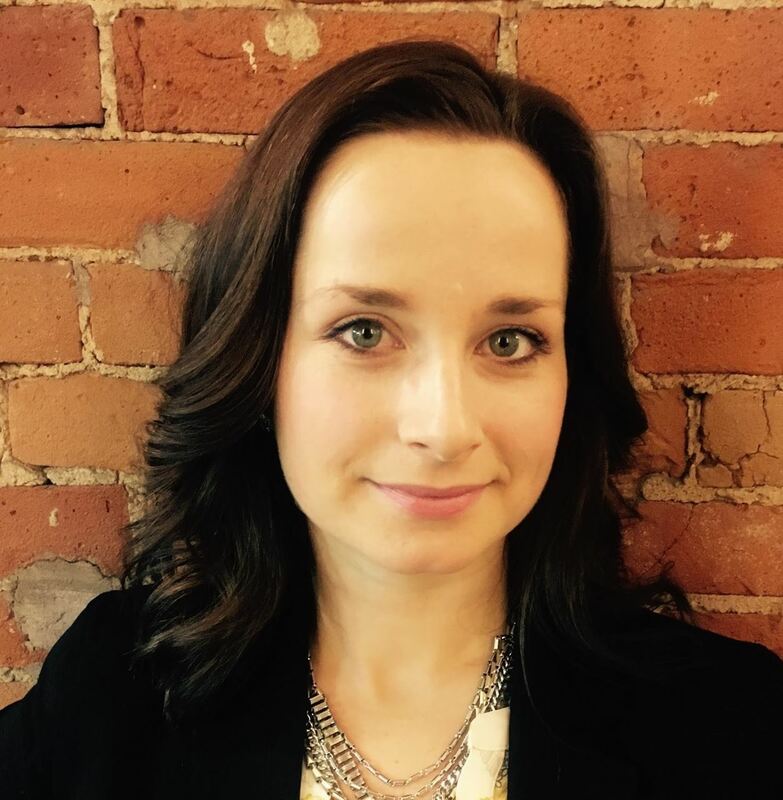 Anne is a former president of IAP2 Canada, recipient of the 2015 Core Values Award for P2 for the Greater Good and a Certified Public Participation Professional (CP3). 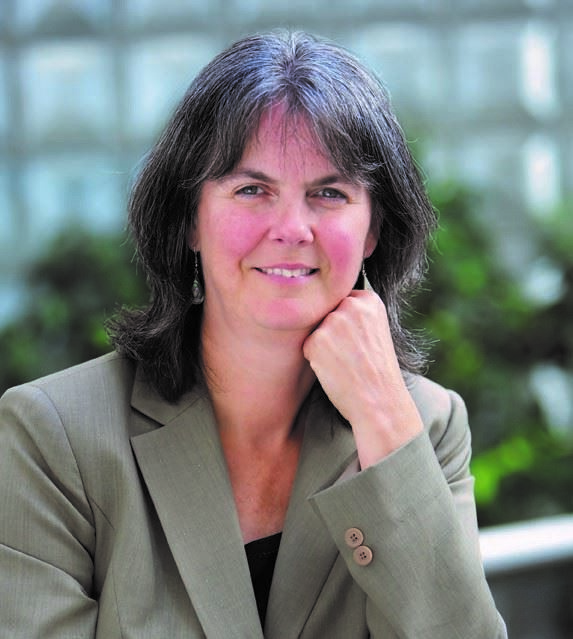 Her specialties include the energy industry and Indigenous engagement. Congratulations to the Core Values Award Winners of 2017! Read about the 2017 winners here, or check out the winning entries from 2016 in Montreal, 2015 in Portland and 2014 in Winnipeg. Feisal Lakha and Kirsty Neill of the City of Calgary accepted the 2017 Core Values Award for "Extending the Practice through Creativity, Collaboration and Innovation in the Field" for the "Crowchild Trail Extension" project; this also was named Project of the Year. 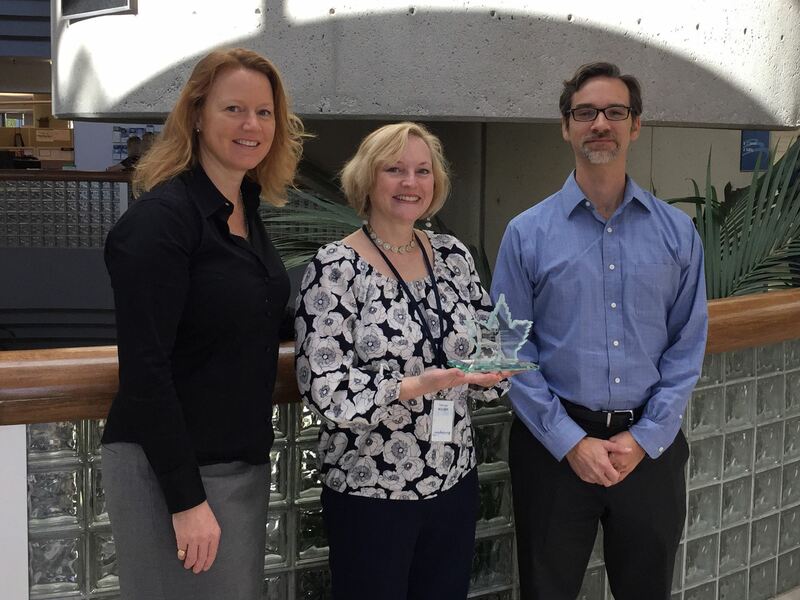 The City of Burlington, Ontario, was named 2017 Organization of the Year. 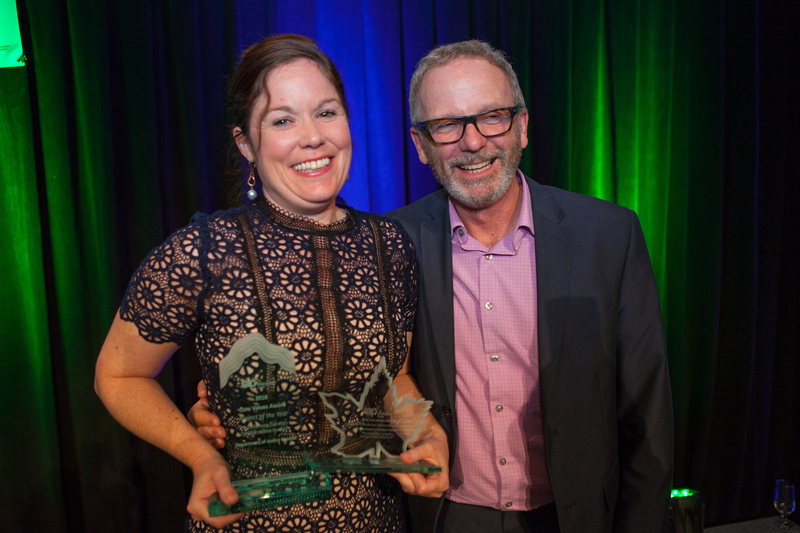 Michelle Dwyer accepted the award from IAP2 Canada President Bruce Gilbert.